The worst natural disaster Haiti has ever suffered requires far-reaching solutions in order to reduce this Caribbean country’s environmental fragility, say officials and humanitarian workers. Four major storms pounded Haiti in August and September, leaving nearly 1,000 dead and a million people homeless. International relief efforts are keeping people alive and sheltered, but the already degraded landscape has been badly battered, washing away crops, soil and the few remaining trees in many areas. “I’m not sure if things could get worse here. Haiti must be the most desperate environmental crisis on the planet,” Joel Boutroue, resident humanitarian coordinator and head of the United Nations Development Programme (UNDP) in Port-au-Prince, told Tierramérica. While pockets of severe malnutrition still exist, there is access to clean water and only about 3,000 families were without shelter as of the end of October, he said. However, it is not possible to feed an entire country of 9.5 million people with international aid for long. Haiti cannot feed itself, and even growing 50 percent of its own food is years away, Boutroue fears. 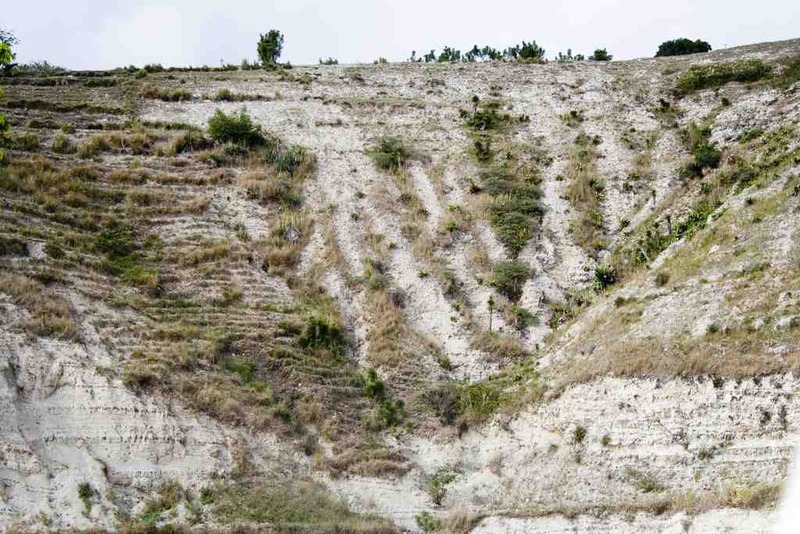 In cutting down 98 percent of its forests for fuel, Haiti has lost much of its topsoil to erosion. Ordinary storms often result in devastating floods because there is little to hold the water back. Ninety percent of Haiti’s children suffer from waterborne diseases and intestinal parasites, mainly because there is no forest or vegetation-covered areas to serve as natural filters for the water. Haiti has been in a state of environmental crisis for many years according to numerous experts, but efforts to improve the situation have been slow in coming. The key components to improving the country’s barren and infertile landscapes are reforestation, terracing, and channelling water flows. Collectively known as watershed restoration, it is a top priority, but little work has been done on the ground. It has taken three years of preparation to get one restoration project started, laments Boutroue. About two percent of the watershed around the northern city of Gonaïves had been restored at a cost of two to three million dollars, he said. Unfortunately that region was hardest hit by this year’s storms and much of the work was destroyed. Other regions suffered the same fate. “Four storms in a row would devastate any region, even in the United States,” said Brad Lewis, a development officer at Floresta, a U.S.-based Christian aid group working in Haiti for more than a decade. “Imagine if New Orleans had been hit by three more storms in the weeks after Hurricane Katrina swamped the city” in 2005, Lewis told Tierramérica. 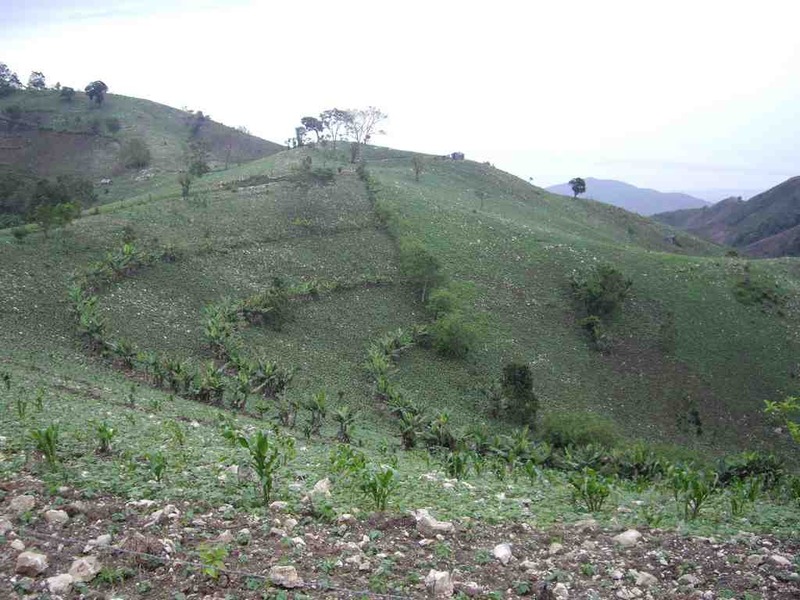 Floresta has worked with local Haitian communities to plant 124,000 trees and construct almost 300 kilometres of soil conservation barriers. But much of that effort was destroyed when tropical storm Fay was followed by hurricanes Gustav, Hanna and Ike. “The reforestation and barriers held up after the first storm, proving that they work in reducing soil erosion and preventing flooding,” Lewis pointed out. His hopes are centred on the fact that some of their efforts worked, including a novel concept of “living terraces” where pineapple trees or sugar cane replace rock walls as barriers to contain the soil and water. “They’re just as effective a barrier and they yield a crop,” he said. Haiti, the poorest country in the western hemisphere, remains trapped in a cycle of poverty in which farmers are struggling and often can only grow enough food to feed their families, using practices that sacrifice the long-term health of their land. This also makes it difficult for farmers to adopt new practices, particularly in a country where well-meaning relief agencies provide help and support for new ideas, and then leave after six months or two years when their funding runs out, Lewis said. Breaking these cycles and developing the capacity to feed its own people while building resilience to the future impacts of climate change are enormous challenges, acknowledges Boutroue. Last month, World Bank president Robert B. Zoellick toured the country and announced 25 million dollars in additional emergency grants to rebuild major bridges and expand existing programmes to help reduce the country’s vulnerability to natural disasters. That was in addition to the bank’s 240 million dollars in interest-free loans and grants through the International Development Agency (IDA) since 2005. “That level of support is just enough to keep the country’s nose above water,” said Boutroue. The U.N., World Bank and others are developing a “Haitian Recovery Framework” – a three-year, multi-billion dollar plan to be released before the end of the year. The plan is intended to “jump-start the country, put it back on its feet,” by putting unprecedented effort and money into watershed restoration, basic services and food security, Boutroue said. “We know how to restore watersheds. We know they can work and we have the people and capacity to do the work. All we need is more cash,” said the U.N. official. 17. 04. 2017. This article was writing 9 years ago. I read another article more than 25 years ago about the environmental crisis in Haiti. This issue concerned me since then. I was in Haiti during the hurricane Matthew; the eco system is completely destroyed. We did work on a strategic plan for the reconstruction on the Camp-Perrin, Orange trees for example take so many years to grow were almost all down. Now, I am in Canada walking with the plan looking for partnership. The only solution is citizen response to support ONG s and government effort. The task is great.